ELRIG’s first CRISPR in Drug Discovery: From Targets to Therapeutics meeting will focus on the latest drug discovery applications of the rapidly developing CRISPR/Cas9 technology. Taking place at the King’s Centre in Oxford from 27-28 February 2019, the event will bring together a panel of knowledgeable scientists and researchers from across academia and industry. Through a range of presentations and vendor technology spotlights, you will have the unique opportunity to explore the applications of CRISPR/Cas9 technology in identifying novel drug targets, developing advanced cellular and in vivo disease models for target validation, and therapeutic genome editing. If you wish to keep up with the latest developments in this area and gain insights into how you can increase your chances of success with your drug discovery research, you can’t afford to miss CRISPR in Drug Discovery: From Targets to Therapeutics. 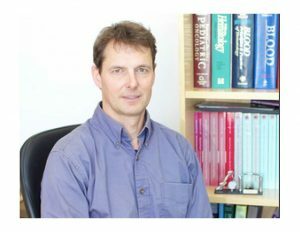 Read our interview with Dr Matthew Porteus, Professor of Paediatrics at the Division of Stem Cell Transplantation and Regenerative Medicine at Stanford University to find out why! It’s no secret that CRISPR/Cas9 has already been widely adopted in laboratories conducting gene editing. Yet as the technology continues to become more sophisticated, researchers are able to push the boundaries in this area even further. What is especially remarkable with CRISPR/Cas9 technology is that it’s worked for every target site it’s been applied to so far. Additionally, while the specificity of the technology has been the subject of much debate, recent research results demonstrate that the method is highly specific, making it suitable for developing more effective therapies to treat serious genetic diseases. At the same time, many laboratories have discovered new improved versions of Cas9 that are more specific and able to retain on-target activity that is comparable to the original protein to ensure sufficient levels of potency. Despite these advances, it will still be some time before we see CRISPR/Cas9 treatment systems active in the clinic. “We need to be careful with our expectations of this technology. Whereas there’s been much progress when it comes to developing new and better tools, more time will be needed to implement CRISPR/Cas9 in the clinic. We can safely say that the CRISPR/Car9 promise will be realised in the next five to ten years,” comments Dr Porteus. Within just a few years, CRISPR/Cas9 technology has been successfully used to develop pre-clinical models with extremely high efficiencies. This is particularly exciting as these models ultimately form the foundation for human clinical trials. When it comes to genome editing in hematopoietic stem cells (used to repopulate the blood and immune system) using the CRISPR/Cas9 method, Dr Porteus’ laboratory has not only achieved knock-out efficiencies of 90%, but also correction frequencies of 30-70%. Dr Porteus believes CRISPR/Cas9 technology will first be used to treat two classes of diseases. The first one will be oncology, where gene editing could be used to produce CAR T-cells that will be more active, broadly used, and perhaps even safer. The second application of the technology will be to treat genetic diseases. Ultimately, CRISPR/Cas9 technology will be used across an extensive range of diseases, including into aspects of regenerative medicine. “Choosing between a career in academic research or industry depends on where your passion lies and your own personal vision of what you wish to accomplish,” says Dr Porteus. “That’s the most important thing. As a researcher at heart, I believe that a research career can be particularly rewarding, as it gives you the opportunity to work closely with patients and witness the difference your work could really make to change their lives and their future. There will also be the chance to hear our platinum sponsors, Horizon, Merck and Synthego, all industry leaders in gene editing tools, discuss their latest contributions in this field. In alignment with ELRIG’s vision to bridge the gap between academia and industry, the inaugural CRISPR in Drug Discovery: From Targets to Therapeutics event will bring together academic researchers and pharmaceutical/biotechnology industry professionals to exchange ideas and information. The meeting will offer an open-access forum for delegates to meet with their peers and explore potential synergies and provides the ideal opportunity to connect with those who fall outside your scientific expertise. By doing so you can gain new insights and a deeper understanding of CRISPR/Cas9 technology. Now that you know why you shouldn’t miss ELRIG’s 2019 CRISPR in Drug Discovery meeting, it’s time to register to attend the event for free. You can find out more about the event here or quickly and easily access all necessary information on your mobile phone or tablet by downloading ELRIG’s free app.